. It replaces the unruly cords, blinking lights, and bulky antennas of a typical router with subtle lighting and internal wiring, so you’re more likely to put OnHub out where it works best. 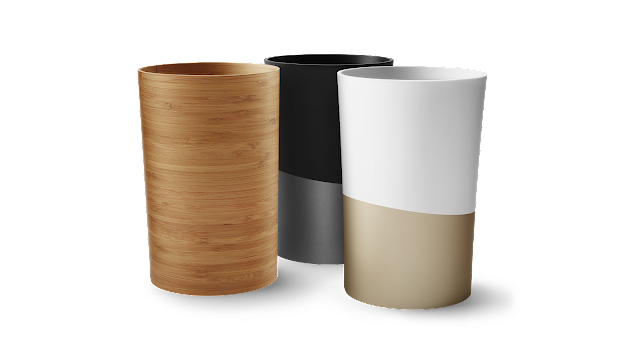 Today we’re introducing more ways to make your OnHub look great in your home with three new, interchangeable shells for the OnHub from TP-LINK, as well as OnHub Makers, a gallery of shells designed by artists, designers, and makers. With OnHub Makers, we wanted to see what some of the world’s most creative minds would do to personalize their routers. We reached out to artists, makers and designers who poured resin, blew glass, and cut paper to make their own unique shells. You can see their creations and learn more in the OnHub Makers gallery. Feeling inspired? Then it’s time to get crafty. We’ve put together all of the information you need to customize an OnHub shell. Whether you’re using a laser cutter or simple finger paints, download the Maker Packet for 3D files, 2D patterns, and useful guidelines. Once you’re done, be sure to share your designs online using the hashtag #OnHubMakers, and we may feature your design in our gallery. If DIY isn’t really your thing you can still add some style to your Wi-Fi with one of the three new shells from the OnHub team, available later today in the U.S. for $29-39 on the Google Store. Chances are, somewhere in your home, there‘s a tangled mess of wires and blinking lights that make your Wi-Fi work. Your router likely isn’t the most sightly thing, and you probably hide it behind a curtain or under a bookcase—out of sight. Turns out, that’s a bit of a problem, since routers work better when they’re out in the open. So a few months ago, we released the first OnHub router from TP-LINK. It replaces the unruly cords, blinking lights, and bulky antennas of a typical router with subtle lighting and internal wiring, so you’re more likely to put OnHub out where it works best.